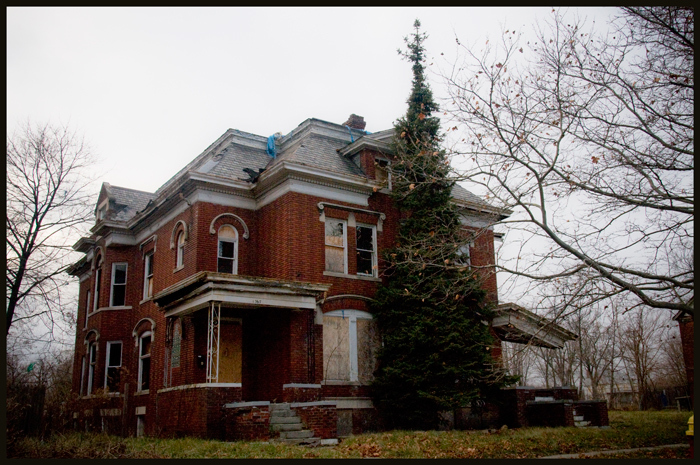 I saw this house a long time ago and wanted to return in December with some batter-powered LED lights to string up on this amazing tree in front of this abandoned mansion. The lights I bought were woefully short and it would have cost a fortune to light this beauty. Maybe next year. Merry Christmas, blog readers. Thanks for continuing to follow our mundane goings-on around here.